Does Poor iPhone 4 Design Cause Dropped Calls? 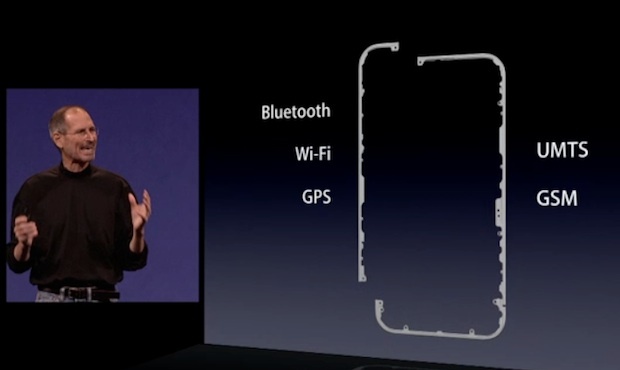 One of the featured tricks of the new iPhone 4 is that its metal frame actually forms the antenna system for calls and wireless connections. It’s clever, but there are reports that holding the phone actually blocks the signals. What’s going on? The stories appeared over at MacRumors in the forums at first, and then were given more spotlighted attention over at Gizmodo, where it was reported that many people could reproduce the effects. What appears to be happening is that the iPhone 4 display shows more bars of signal strength when it’s resting on a surface than when it’s nestled in someone’s grip. Some users report that the phone even drops calls when they’re holding it and walking about, but not when it’s in their pockets. Check out the video below to see the effect in action. Though this looks bad, MacRumors wrote that other users reported they couldn’t reproduce the effect at all. And then noted that by experimenting, some iPhone 4 owners who saw the signal degradation effects worked out it was only happening if you hold the phone covering the lower left corner of the device. Can a user’s hand actually affect the iPhone’s radio connection to the nearby cellphone tower? The answer is probably yes. But it’s not necessarily for the reasons you may imagine, as radio frequency physics is trickier thing than it seems. All mobile phones will be affected when held in the hand becaue the body will attenuate the radio waves very slightly. 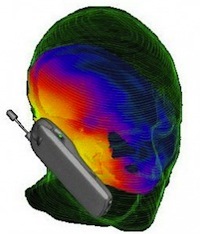 Hence some people are concerned about mobile phone use and health–there would be utterly no reason for concern if the radio waves from the phone merely made their way unaffected through flesh (specifically, the head). But your body does absorb some of the energy. Besides raising possibly spurious health concerns, radio wave absorbtion affects how your phone can communicate with nearby cell phone towers, particularly in regions where the signal is already weak. The thing is, your hand is actually pretty radio-transparent, as it’s full of gaps and isn’t hugely dense–the radio waves from the antenna should be largely unaffected by a nearby limb. The difference with the iPhone 4 though is that you can actually touch the electrically-connected radio transmitting antennas themselves. You have to, really, if you’re holding the phone. Is this going to affect how well they can transmit and receive radio signals? The answer is a definite “possibly.” Because your body is weakly electrically conducting, and the interaction between your hand and the phone’s metal antenna may indeed affect how it transmits radio waves. It’s even possible that the lower-left corner sensitivity to being held is due to the user’s hand weakly connecting the 3G antenna with the iPhone’s other antennas, messing up the 3G signal transmission. But it’s hard to imagine this occurring as seriously as it appears in the videos–and Apple will have (don’t doubt it for a minute) conducted extensive scientific and real-use tests on such a significant design feature. And with Cupertino’s love of high-precision, it’s unlikely they’d have let such a serious design flaw through. And from a raw physics point of view it doesn’t really add up. So what is really going on, if anything? In regions where users have weak connectivity to nearby phone masts, it’s plausible that signal attenuation from user’s hands will affect signal strength to the point of affecting call quality. This really should be in the fringes of the signal from the antenna though–so maybe Apple’s software is incorrectly displaying signal strength, and is actually overly-sensitive. Those users seeing three bars of strength drop to none may actually be equivalent to just one bar dropping away, in other words. We know that Apple’s had software issues relating to the signal display systems before. With a patch (to tune the signal strength display to the particular performance of the iPhone 4) this will be less noticeable. It’s also possible that some slight discrepancies in the manufacture of different iPhone 4s are affecting how sensitive to antenna interference each unit is. With the antenna exposed, this may be a more pronounced issue than in earlier designs.